Many people choose to remodel their kitchen for a number of reasons. Living in a home for many years and getting tired of the kitchen’s theme is one common reason. Others are interested in rehabbing a kitchen because they are about to buy a home that’s a little older. Tearing out old tile and cabinets is a great start to bring a kitchen back to life. Replacing countertops is another way you can make your kitchen match with the rest of your home. These processes take time and expert guidance, which is why you should to hire a qualified contractor to take care of the job. 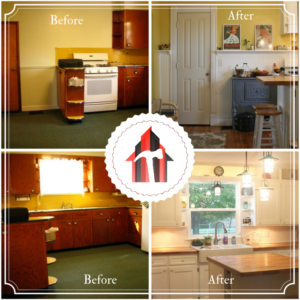 What Does An Overall Kitchen Remodel Entail? Tearing out the backsplash in your kitchen is a process that can add immediate visual appeal once replaced. Once the tile is removed, the walls will need to be sanded down. You can then choose what type of backsplash tile you want in your kitchen. You can also choose other materials for your kitchen, such as marble, which will give it a very elegant look. Marble is also a common choice for countertops in a kitchen. It looks great, and it also doesn’t scratch. 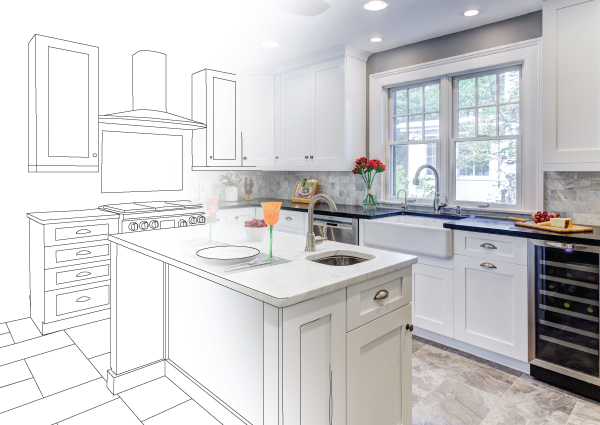 Consider all of your options when remodeling is being completed in these two main areas of your kitchen. Another one of the main areas you need to consider is your cabinets. The cabinets are probably the first thing that people will notice when they enter your kitchen. You want them to look good and function properly as well. There are plenty of different types of wood that you can choose from for your cabinets, so be sure to look at all of your options. The handles are also an important factor in how your cabinets will appear. Tearing them out is a matter of ripping them off of the walls, which DWD Renovation has done many times before. It can be dangerous to complete a task like this with no experience. Installing the new cabinets is also another task that should be left to DWD Renovation so they are aligned perfectly. How Else Can You Make Your Kitchen Look Better? Another way you can rehab your kitchen is by replacing your current stove and refrigerator. If you are going for a more modern look in your home, then consider having metal appliances installed. Metal stoves and refrigerators look modern, and you can find many of them with advanced features. Replacing your appliances is a manner of telling DWD which ones you want, and having us install them for you. You need to be careful when installing a new appliance because this will be one of the last things to get done, and you don’t want to scratch your new floors. 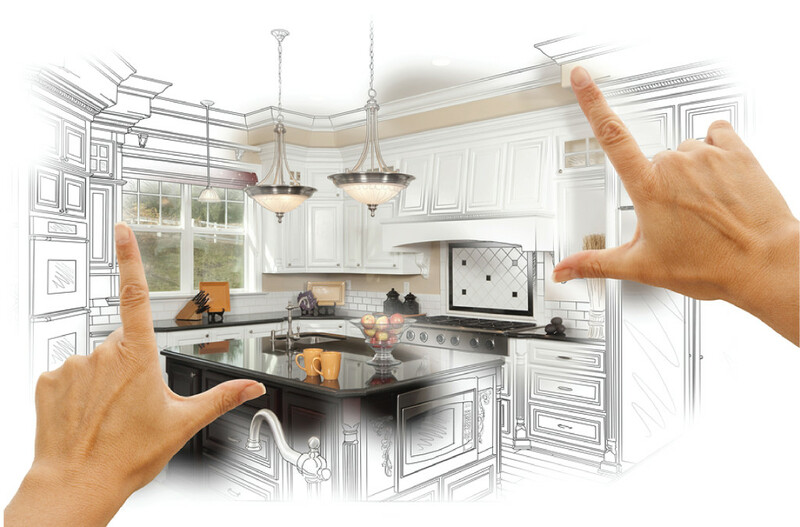 Overall, upgrading your kitchen is a job that should be done by a professional contractor. At DWD Renovation, we have the experience to install everything you need correctly on the first time. Think of how terrible your cabinets would look if you notice they are slightly crooked after the installation is complete. Check out some before and after pictures of our recent projects. A professional remodeling company will have no problem showing you pictures to prove they are skilled enough to handle your job. Take advantage of a reliable remodeling company because you can have a kitchen that looks brand new within a matter of weeks if you choose the right company. If you are interested in hiring us to be your kitchen remodeling contractor, please call us at (773) 657-5990 or send us a message.